In the final days of the Vietnam War, with the fall of the South being all but eminent, many members of the Republic of Vietnam, both citizens and public officials, made the decision to die with their country, rather than to witness or acknowledge the entrance of Communist regime. From politicians, to military leaders and soldiers, and even ordinary citizens, all were more content with death than to pledge their allegiances to the red flag of Communism. The heartbreak and harrow in the final hours of the Vietnam War can be most famously told through the eyes of five great ARVN generals. On that day, April 30, 1975, each of these men ended their own lives at different hours of the day, after saying their respective farewells to their loved ones, their fellow commanders, and their faithful soldiers. In these final hours, the valor and desperation that came to encompass the Southern experience were front and center. Though this brief article only covers the suicides of five ARVN generals, it cannot be stressed enough that on that day, April 30, 1975, many South Vietnamese took their own lives rather than surrender to the Communists. 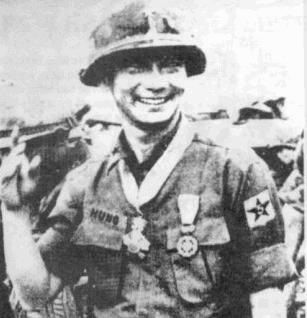 At approximately 12:00 am, April 30, 1975, Brigadier General Tran Van Hai of the 7th Infantry Division committed suicide at the Dong Tam military base in My Tho City, Dinh Tuong Province. On the previous day, the general called upon all of his officers for one last meeting, where he thanked them for their faithful service, and gave a final order for all of them to go home and be with their families. It was on April 29th that the provisional president Duong Van Minh issued the official surrender to the Communist North. With the war all but lost, Brig. Gen. Tran Van Hai gave warm parting words to his men, taking some time and enjoying a few short and meaningful conversations with his soldiers. Later that night, one of Hai’s overly concerned officers found the general in his office, motionless, with a glass of water on the table, signifying that he had poisoned himself. Earlier that week, President Nguyen Van Thieu offered to fly Tran Van Hai to Saigon, but the general refused. Before his death, the general left a small parcel for his mother containing some money and a few of his personal items. This was his final gift to her. For the nation, he gave his life. At 11:00 am on the same day, Brigadier General Le Nguyen Vy of the 5th Infantry Division died by his own gun as his final act of loyalty. With the higher command issuing the order for the South to surrender, General Vy shot himself that following morning. His place of death was the 5th Division Headquarters at Lai Khe, his original area of deployment. 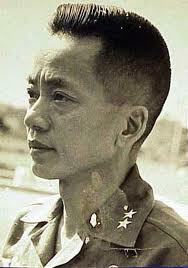 General Le Nguyen Vy was considered among the many talented young commanders of the Army of the Republic of Vietnam. His courageous and outstanding performance at the Battle of An Loc in 1972, a major Southern victory over the North, gained him great distinction within the ranks. Up until the time of his death, Vy was considered an exceptional regimental commander. Le Van Hung is one of the most renowned and admired figures of the RVN Army, and of South Vietnam in general. Like Le Nguyen Vy, General Hung also fought brilliantly at the Battle of An Loc. Le Van Hung was the Commander of the 5th Division at An Loc, with Le Nguyen Vy acting as his Deputy Commander. 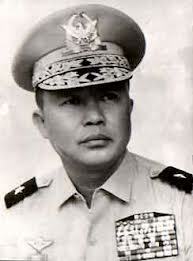 He would later be promoted to the IV Corps of ARVN, acting as the Deputy Commander to Major General Nguyen Khoa Nam. Lauded as the “Hero of An Loc,” General Hung was one of the brightest stars of the Army of the Republic of Vietnam, dealing great damage to the Communist forces up until his final days. He famously stated that, “As long as I’m still alive, An Loc will remain standing,” a promise he had honored to the very end. General Hung took his own life at approximately 8:45 pm, April 30, 1975. Before then, General Hung’s forces still kept hold of the city of Can Tho, and were planning to fight to their very last breath, their very last bullet. However, the threat of Northern reprisal forced Hung’s hand, as the frightened and exhausted residents of Can Tho themselves begged him not to resist the Communists any longer. Respecting their wishes, General Le Van Hung decided to stand down. However, the general would not be content with just a simple surrender. Summoning his military staff, his wife, and his children, the general bid all those around him a sad farewell, before taking his own life in private, with his .45 pistol. At around 6:00 pm, the general’s forces were still bent on fighting. By 9:00 pm, the general was dead. Along with his ARVN compatriots, the general had taken his own life, in honor of his country, and in honor of his people. 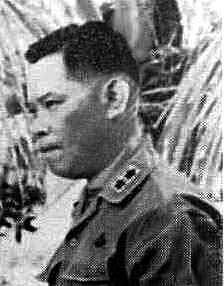 One of the last generals to take his own life on that 30th of April, Major General Nguyen Khoa Nam too had shot himself rather than surrender to the Communists. Earlier in the day, the Major had talked on the phone with his Deputy Commander Le Van Hung, before the latter killed himself. After saying his last goodbyes to his general staff, and a heartfelt commiseration to General Hung’s wife, the Major ended his own life, sometime between the final hours of Black April and the early hours of May 1, 1975. According to the wife of General Le Van Hung, both generals Nam and Hung were in communication with each other throughout that 30th of April. The two men had, for some time, been planning for a prolonged counteroffensive that would carry on even after the fall of Saigon. However, with the official surrender of Duong Van Minh, followed then by General Hung’s acceptance not to fight at the behest of the people of Can Tho, and ultimately with his death at 8:45 pm, the guerrilla strategy was never executed. The two men lost contact with each other in the latter part of April 30th, and upon receiving news of Hung’s death, General Nam was finally able to contact Mrs. Hung to express his condolences. Though he did not give his final goodbyes to Mrs. Hung, she recalls having premonitions that General Nam would kill himself, just like her husband had done. At around 7:00 am on May 1, 1975, news of Nam’s death had reached Mrs. Hung, and her fears were realized. From the fragmented sources available on General Pham Van Phu’s final hours, it can only be told that the commander committed suicide honorably like the other four generals, doing so in the city of Saigon, sometime between the morning and midday. 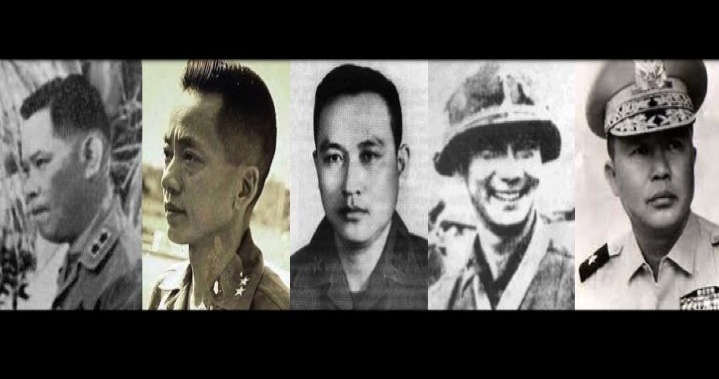 Though coverage on General Phu is regrettably thin, it should be understood that the brave general is considered one of the five great ARVN generals to commit suicide on Black April, the 30th day of 1975. To their very last breaths, these five generals fought bravely to defend their motherland. Rather than betraying the nation they had fought for, or suffer the humiliation of pledging their loyalties to the Communist regime, these men chose instead to end their own lives, with honor, and with dignity. As I have said before, these men were not the only ones to commit suicide in honor of their nation. Countless others, from high ranking government and military officials, to the low ranking Non-Commissioned Officers of ARVN, and even the everyday citizen who would rather die than to see his or her country fall into the destructive grips of Communism, all of them chose death alongside their country. While thousands of men and women took their own lives as a final act of loyalty to the fleeting South, millions of others departed from the shores of Vietnam to distant lands across the seas. Though suicide was not their intention, many South Vietnam refugees lost their lives during their escape from the Communist sphere, either at sea, in Communist detention, or in the refugee camps. This brief article is written to commemorate the brave men and women who took their own lives to honor the ideals of a free and democratic Vietnam. This article is also here to commemorate the brave souls who gave their lives fighting for this free and democratic Vietnam. They did it for their nation, but they also did it for us. This article then aims to thank and commemorate the brave men and women who braved the violent ocean waves, risking their lives, and traveling all the way across the Earth so that a younger generation of Vietnamese men and women can live under the skies of freedom and justice. On this day, April 30, 2014, we take a moment to remember all that have died fighting for Vietnam’s freedom. They gave their heart and their bodies, and in the end, they gave their lives. In different ways, all have contributed to this beautiful aspiration of a free and democratic Vietnam. One day, this dream will be realized. This entry was posted on April 30, 2014 at 2:30 pm and is filed under IV. Columns, Modern History with tags ARVN, Black April, Fall of Saigon, Five Generals, Le Nguyen Vy, Le Van Hung, Nguyen Khoa Nam, Pham Van Phu, South Vietnam, Tran Van Hai, Vietnam War. You can follow any responses to this entry through the RSS 2.0 feed. You can leave a response, or trackback from your own site. I left my birthplace over 35 years ago as a very small child. I still mourn the loss of my country. I mourn for my dad and for all those who fought for South Viet Nam. I mourn those who were sent “re-education” camps. I mourn for all the suffering of Vietnamese in Vietnam and throughout the world. I still cry for the destruction of what was once beautiful Saigon. I cry reading and watching videos of Vietnam pre 1975. My heart and soul will pledge allegiance to South Vietnam. I pray to see the fall of the illegitimate communist regime in my country and our yellow flag with the three stripes will fly over Saigon. The uneducated jungle rats, the Viet Cong, have destroyed millions of lives but not our spirit and not the love for South Vietnam.